Earthy tones, rich textures, metallic hues, and vibrant pops of color make this year one to embrace! 2019 is far from somber and we encourage couples to keep the newest trends in mind when planning their big day. While searching for the perfect venue, consider a blank slate and define it! We happily welcome any ideas couples may have, and will help you take them above and beyond! Move over rose gold. The “golds” have embodied unforgettable themes and will continue to persevere, however 2019 has welcomed the other metal; Copper! Its old-world feel is nothing shy of this year's earthy elements. The metallic hue is versatile, whether your endeavor is a romantic garden feel or designing the modern industrial look, copper will not disappoint. Forget matching; introduce a pop of color! Vibrant colors paired with dark earthy tones, and soft pastel details create a bold statement. As Pantone announces, “Living Coral” as the 2019 Color of the Year, described as a warm peachy orange with a life- affirming gold undertone, its exclaiming "Dare to be Bold!" Last year's choice of deep lush purples will make its appearance this summer into the many blooms and decor. Not willing to dare it all, blush has stayed for the time being, and is being elegantly paired with black accents for a soft sophisticated feel. “Bring the Outside In”. 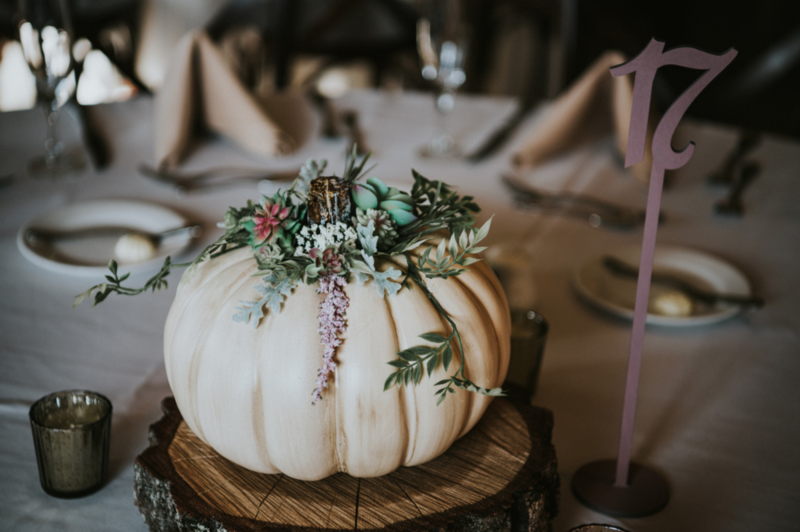 Greenery will continue for the minimalists out there; however more organic tones are being introduced as we see ceremony sites and isles adorn with soft delicate pampas grass, centerpieces created within natural wooden boxes and ceramics, and vine covered archways for an extra earthy vibe. Add a pop of color with big beautiful coral dahlias, and did I mention copper accents!? Looking to add a luxe feel to your decor? For 2019’s hottest trends, we are seeing couples add the soft touches of velvet and cashmere. Textures and layering give a luxe feel and we recommend adding the high-end textures to your invites, menus, table linens, napkins, and truthfully anything you can think, the list is endless. With fall and winter weddings on the rise, you will start to see these textured heavy fabrics incorporated into the smallest details for an extra elegant day. Have you seen those super cute and customizable felt boards? Or how about neon light up signs that create a warm romantic glow? Signage trends are constantly evolving from handcrafted, calligraphy filled chalkboards to vinyl enhanced antique mirrors, to 2019 booming with crazy fun neon signs. Do you have a hashtag? Create one, because guests will love the photo opportunity with the flashy neon sign! 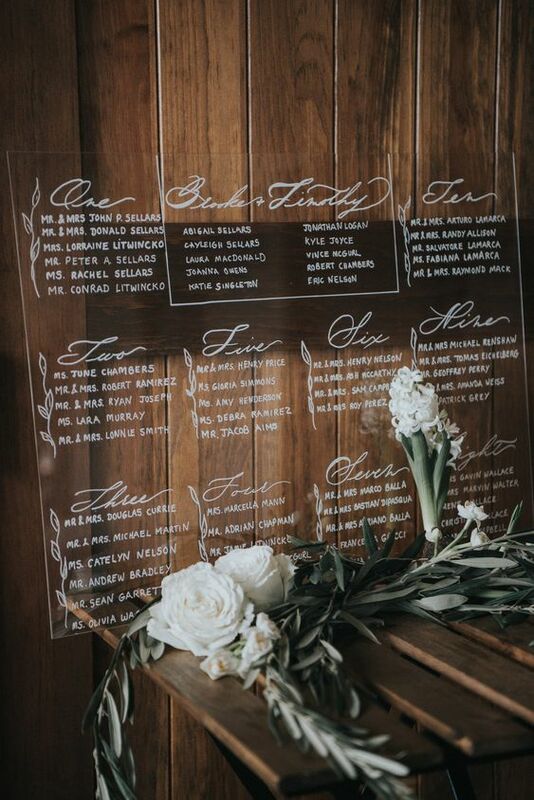 No matter what the trends are, we can’t wait to see how our 2019 couples personalize our beautiful blank slate! Salute’!